When you are auditioning for any role, a TV commercial, a still there are some essential things you need to remember. Believe in yourself and act confident. Try to dress for the part to show how you’ve been thinking about the character. Wear something that’s indicative of the character, but not a costume. 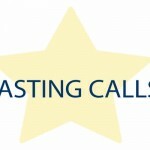 Arrive just before the time you are casting,so you can settle down and prepare for the role. Most important of all…Enjoy yourself ! After all, this is what you’ve always dreamed about and wanted to do,right? DWARFS & MIDGETS FOR COMMERCIALS & FILMS You Need Good Pics !